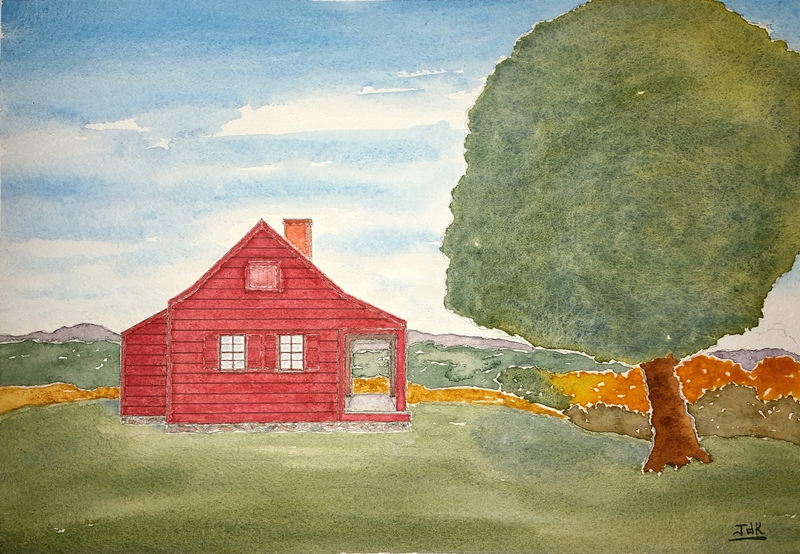 Farmer John Neilson and his wife Lydia built this iconic red house around 1775, just two years before the Battles of Saratoga would immortalize these Hudson Valley hills and change the course of the American Revolutionary War. The looming conflict drove the couple from their home, sending Lydia to stay with nearby relatives while John joined the fight against the British. The farmhouse did its part as well, serving as headquarters for several American officers including General Enoch Poor and none other than General Benedict Arnold (pre-treason). Note that I exercised artistic license with a few small details of the structure — particularly the number of panes in each window — but it’s largely faithful to the landmark I saw last summer. 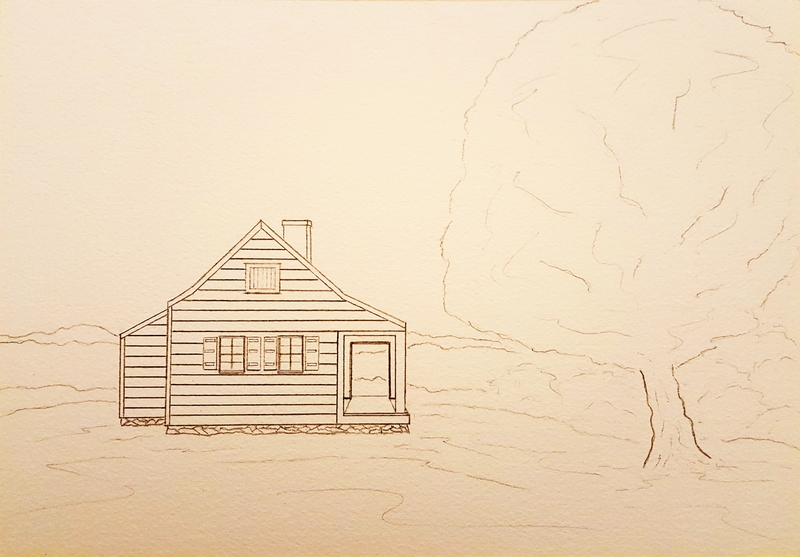 This is a sketch of the John Neilson Farmhouse from the Saratoga National Historical Park, site of two tide-turning battles of the Revolutionary War in 1777. The American forces occupied this building and the ridge on which it sits, giving them a key advantage over the advancing British troops. I visited 240 years later on a peaceful summer day — with just a faint echo of musket fire.